I recently joined Avon and thought it would be helpful to create a simple Avon Getting Started Checklist for my new team members, or anyone else joining Avon. 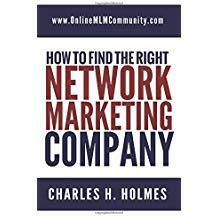 I’ve been involved in network marketing for about fifteen years now, although I am very new to Avon. What you see below is a list of steps to guide you through the getting started right process. Keep in mind, it’s not a race. You don’t have to do all of these things on day one, although the sooner you can complete these steps the better. For most people, you should be able to complete these steps within a week or less. Enjoy my Avon Getting Started Checklist. I’m assuming you’ve already joined Avon. You’ve found a sponsor and purchased the $25, $50 or $100 kit. If so, congratulations. Your first step is complete. On the other hand, if you’re still sitting on the fence, and you need a sponsor, you can join my team here. 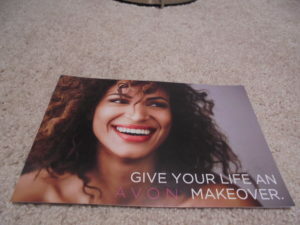 Once you order your starter kit from Avon, you should receive it in the mail within three to five business days. Click on the Set Up Your New Account and type in the account number that Avon gave you when you ordered your kit. You will need to create a password. Once you’ve finished doing that, go ahead and login and click on the WEB OFFICE tab. After you click on that tab you will see a bunch of pink squares. The top left square will say Edit My Online Store. Click on that tab and follow the directions. Be sure to upload a photo and your contact information. You can customize your store any way that you’d like. Avon has a new campaign every two-weeks. Depending on where you live in the United States, your campaign will end on a different date than other people. If you login to your back office and click on your profile tab, and then the account information tab, you will see your mail plan. The word SEE CALENDAR is a link. If you click on it, you can see your campaign schedule, which outlines when your personal orders are due. Be sure to print off this page for future reference. Reach out to your sponsor or someone in your upline support team and ask them for access to your team’s Facebook group. This is a great way to connect with other Avon reps, ask questions, learn the ropes and be part of a supportive community. The members in these groups have lots of experience in the business and can offer you insights and direction, as well as encouragement. Be sure to send a friend request to your sponsor and upline. In addition, make sure you go and “like” the Avon corporate fan page. You need a business card. You can order business cards right in the back office through one of the partner stores, Town & Country. When you login to the back office, click on the MY COMMUNITY tab, which is on the far-right side of the page. After you do that, click on AVON ADVANTAGE. From there you can visit Town & Country to order your marketing materials, such as buttons, shirts, business cards, etc. Your next objective is to write down your why and business goals. Do NOT skip this step. Take some time and think about WHY you started an Avon business. Is it to make extra money, have more time, make new friends, or something else? Be as specific as possible and write it down. Ultimately, you want a WHY that makes you cry. This is what will move you to action and keep you hanging in there during the tough times. To succeed in the business, you need a daily game-plan. You can’t wing it and expect to succeed with Avon. You need a specific list of three to five things you can do each day to move your business forward. Here is an example daily mode of operations. Make sure your daily schedule focuses on income producing activities, which are retailing and recruiting. Everything else is busy work. Spend 90% or more of your business hours on money producing activities. Basically, we get paid to talk to people. There are many ways to build your Avon business. Your key to success is to have a short list of activities you will do every day, at least five days per week. These activities will be determined by your talents, strengths, budget, goals and time commitment you will devote to your Avon business. If you just did those four things I’m pretty sure you would have minimum 500 names. In addition, you can also use a memory jogger to come up with additional names. Do not skip this step. It is vitally important. You want to start with people you know because they like you, know you and trust you. It’s easier to sell to a friend than a stranger. Set aside three or four hours to navigate your back office and go through the Avon University training. It might be a little bit overwhelming at first, but once you’ve spent a few hours in the back office, you will know how and where to find stuff. Be sure to complete the training on how to set up your website, in addition to the ALMA training. Don’t think you have to know everything before you get started. You don’t. Don’t make the mistake of drinking from a fire hose, trying to learn everything on day one, and giving yourself information overload. Just learn as you go. Keep a page in your notebook to write down questions as they arise. When these questions come up, ask them in the Facebook group or email/call your sponsor to get the answers. Within your first three days of joining Avon, and after you’ve done the steps on this Avon Getting Started Checklist, schedule a sit down with your Avon sponsor. Share your goals with them. Share your proposed daily routine. Ask your questions. Ask them for any tips or suggestions they can offer. I just did this with my sponsor and it was very helpful. You can do this by phone, SKYPE or in person. By the time you’ve done the first 11 steps, you should have received your product kit in the mail. Open up the kit, and review the literature and samples. You are now ready to launch your Avon business. Remember, you get out what you put in. The real key to success is to take massive action and share the products and business with as many people as you can, as quickly as you can. Make it a goal to connect with MINIMUM five to ten new prospects each day. Do that for a month or two and you will see massive growth in your Avon business. This business is a numbers game. Add in good customer service and follow-up, and the numbers should work in your favor. Since you’ve printed off the mail plan schedule you know when your first order is due. Make sure you place your order on time, before midnight the day it is due. Consolidate your customers’ orders and your personal order, plus any samples or marketing materials you need. 1-2 days after submitting your order you will receive an email with your invoice to pay the amount due. Your first order should be for $150 or more (retail price) so you are eligible for the Kick Start bonuses. This business is a team sport. Do not try to do everything by yourself. Stay plugged in to your sponsor daily. Call your upline support team once per week. Attend all calls, training and live events. Do not be an island. As you surround yourself with other Avon reps, you will learn new skills, stay motivated, and stay on track. Give your new Avon business at least one year before you decide if it is or isn’t for you. In every business, like dating, there will be a lust phase. That might last 2-4 weeks and will then disappear. It’s what you do after this excitement dissipates that will determine your success. This business takes commitment, persistence and consistency, just like any other business. You get out what you put in. You have to give yourself a fair chance to succeed before you can throw in the towel and say it doesn’t work. Anything less than a year isn’t a fair chance. I hope you have enjoyed my Avon Getting Started Checklist. I will update this document from time to time as I learn new things. If you are an Avon rep and you have any suggestions about what I should add to this Avon Getting Started Checklist, just leave a comment below to share your thoughts. I look forward to hearing from you. Click here to shop my Avon Store. Disclaimer: I am an Independent Avon Sales Representative. Individual results will vary. All views in this article are my own.